Gathering of alumni authors and books, Yale Bookstore, 77 Broadway at York Square, New Haven, Connecticut, Saturday, 5/30/2009, 3-4 pm. Lecture and conversation about Equal, Kansas City Public Library, 14 West 10th Street, Kansas City, Missouri, Thursday, 5/28/09, 6:30pm <http://www.kclibrary.org/event/fred-strebeigh-equal>. 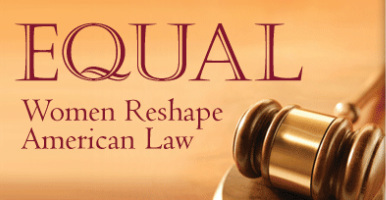 An all-day symposium brought together Vice President Joseph Biden, who spoke with passion about his past work and future plans to address violence against women, along with many of the attorneys whose work to create the Violence Against Women Act is narrated in Part 5 of Equal. For details, please click here.